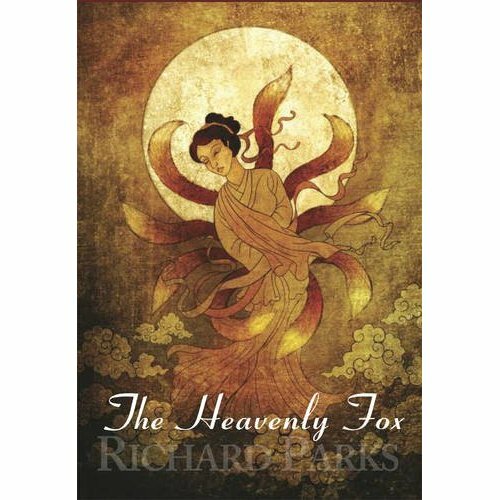 Three days ago, Amazon listed two copies of The Heavenly Fox for $19 each direct from them. As of yesterday there are still two listed, only one’s listed new at $197 and the other is listed used and priced at $99. Yeah, good luck getting those prices, but it does demonstrate something I was rather anticipating—The Heavenly Fox has sold out it in both published states. There was a 100 copy signed, numbered and DJ’d run, which sold out several months ago. I checked with the publisher and, sure enough, the second, unsigned state has also sold out. Since both were limited runs I’m not too surprised. I’m just glad it didn’t take longer. I’ll know in a few days who it lost the Mythopoeic Award to, but in the meantime I’m getting used to the fact that, for the first time in about five years, I don’t have a single book in print at PS Publishing. Good thing the Yamada novel is coming out from them next year. This entry was posted in Folklore, legends, Publishing, Writing and tagged Kuan Yin, Lord Yamada, Mythopoeic Awards, PS Publishing, Springshadow, The Heavenly Fox by ogresan. Bookmark the permalink. Any chance that “The Heavenly Fox” will be reprinted? Almost none. PS does limited editions and, while they are branching out, a novella isn’t a good candidate for a reprint, and it kind of defeats the idea of “limited edition” anyway. So it’s extremely unlikely there will be a new print edition. There will, if I have my way, eventually be an ebook edition. Hopefully there will be an e*edition. If not, I can subtly suggest to my wife what I’d like for Christmas.